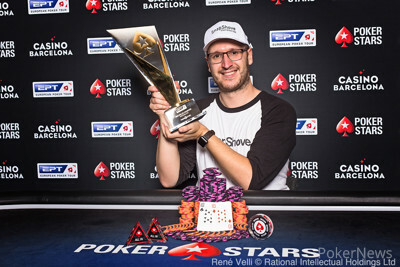 Max Silver has won the PokerStars European Poker Tour Barcelona €10,300 High Roller for €540,924 after a three-way deal plus €60,000 for winning it. Silver outlasted a field of 439 players of the course of three days to take home the trophy and prize money. 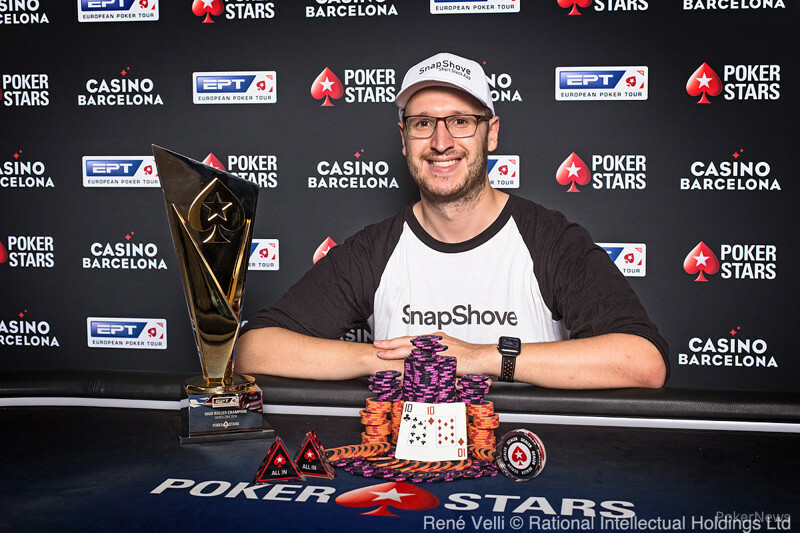 Hungarian Norbert Szecsi finished as runner-up with Dutch player Joris Ruijs, who already won a €2,000 Side Event here in Barcelona was third. Silver has tasted PokerStars success before winning UKIPT Dublin in 2010 and then UKIPT High Rollers in 2012 and 2013. Last year as well as winning his first WSOP bracelet, he took down a €2,000 Side Event at the PokerStars Championship in Monte Carlo. "It feels great!" said Silver shortly after his win. "There's nothing like getting stuck many buy-ins and then at the last minute climbing out of it! Barcelona is always one of the biggest 10k fields of the year, so it's logical there is more value in it than usual 10ks. "There were still a ton of tough players; the final table was also tough but I thought everyone played well. "I haven't played much recently, so this is kind of a surprise. That being said, I felt comfortable in this event - any event you win, you end up feeling pretty comfortable! I've been playing a lot less poker recently, and with this win hopefully I can play even less!" 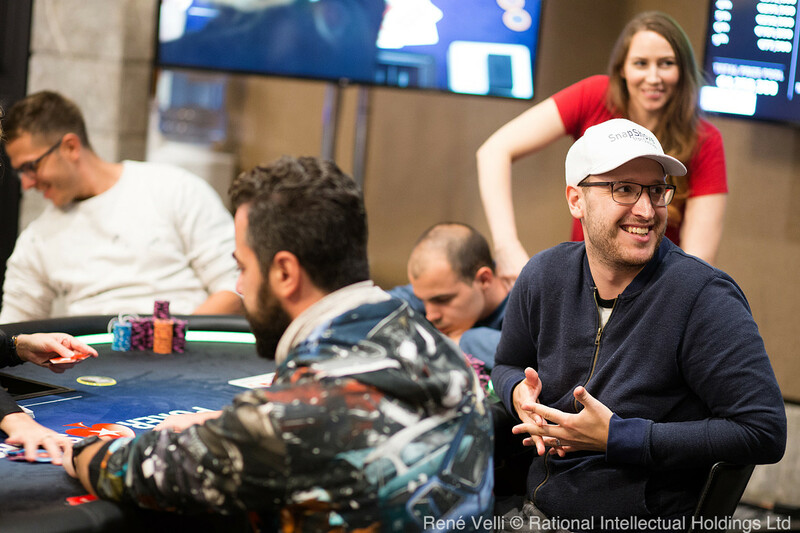 With the final table resuming with 18 players, there were early doubles for Gen Nose and Zhong Chen before Rens Feenstra became the first casualty of the day. 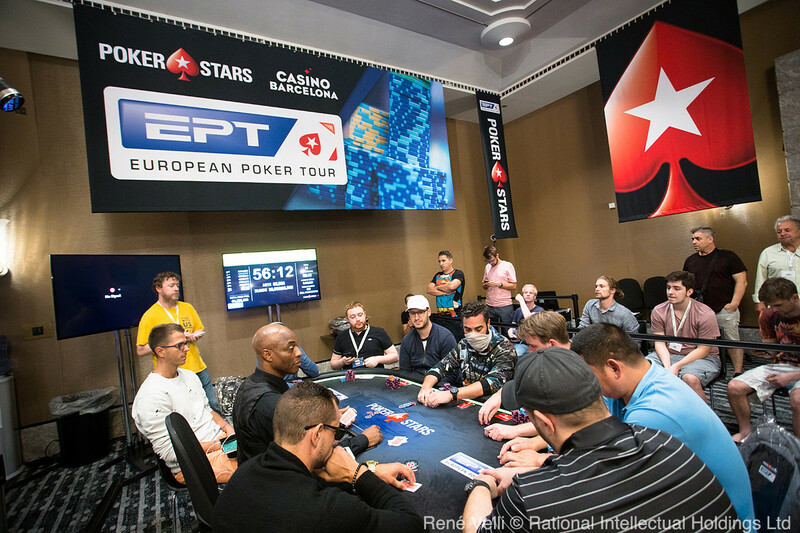 It was a double elimination that got play down to the final table; queens for Johnny Nedved holding to send Siarhei Chudapal and Mikalai Vaskaboinikau to the rail. This handed the chip lead to Nedved, but only just over Cord Garcia, Seth Davies and Joris Ruijs. 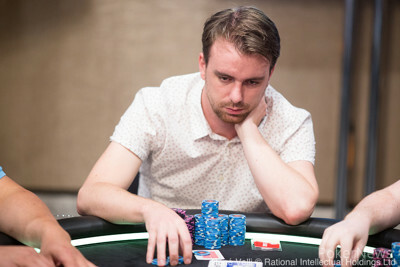 Louis Nyberg was one of three short stacks hovering around or just under ten big blinds, and he was soon eliminated. Meanwhile, there was a big double for Orpen Kisacikoglu when pocket aces held against the ace-king of Davies, before Rustam Hajiyev was eliminated after losing a flip to Norbert Szecsi. Eder Takashi Murata was unlucky to run into kings to bust next, with the field down to 12 players at the first break. Davies, Nose and Marcin Chmielewski were the next to bust as the unofficial final table of nine was reached. By this stage, it was Joris Ruijs who held the chip lead but had to weather an early onslaught, with Richard Kirsch doubling through him before former chip leader Nedved was eliminated after losing a flip to Kisacikoglu to bust in ninth. By the second break, it was Cord Garcia in the lead but the chips kept flowing back and forth it appeared difficult for anyone to convert the chip lead into any meaningful pressure. Niall Farrell had, in his own words, put on a "masterclass of laddering" but he would fall next after getting it in against Szecsi with an inferior ace. Shortstack Chen would bust next before a huge blind-on-blind confrontation sent Garcia to the rail. Szecsi held pocket kings against the ace-king of the American, and with no ace coming he was eliminated, giving Szecsi more than a third of the chips in play. For the first time all day, someone managed to keep hold of the chip lead. Szecsi eliminated Kisacikoglu and Kirsch in fifth and fourth, leaving him with more than half the chips in play three-handed. The players returned from dinner and immediately agreed on a deal which would leave €60,000 and the trophy to the winner. Short stack Ruijs would bust in third; getting it in with two pairs against the rivered straight of Silver. With the chip lead, Silver looked to press on, and once both players picked up pairs and got it in, Silver's tens held to seal the victory. Norbert Szecsi raised on the button to 450,000 and Max Silver three-bet to 1,600,000. Szecsi four-bet shoved all in and Silver called. With for Silver against for Szecsi, Silver was in very good shape to win the tournament, which he did after the dealer fanned out . 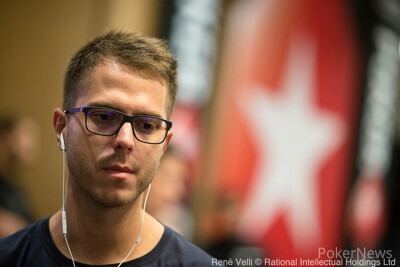 Szecsi's deep run ended in second place and he received €626,357, more than Silver's first-place prize of €600,924 due to the three-way deal made earlier. Max Silver raised on the button to 450,000 and Norbert Szecsi called. The flop was and Szecsi checked, Silver bet 300,000. Szecsi raised to 925,000 and Silver quickly called. The turn was the and Szecsi check-folded to a 700,000 bet from Silver. In the first big hand of heads-up play, on a flop Norbert Szecsi checked to Max Silver who bet 400,000. Szecsi check-raised to 1,250,000 and Silver called. The turn was the and Szecsi check-folded to a bet of 1,000,000. Later the pair both checked a flop after Silver raised to 450,000 pre-flop and got called. The turn was the and Szecsi check-called a bet of 400,000. The pair checked the river and Szecsi won with two pair . Max Silver completed his small blind and Joris Ruijis checked. The flop came and Silver bet 200,000, called by Ruijs. The same action happened on the turn, this time for a bet worth 600,000. The dealer revealed a on the river and Silver announced all in, putting Ruijs's tournament at risk. The latter tanked for 30 seconds and eventually called with , but only to see in Silver's hand for the straight on the river. On a flop Max Silver bet 200,000 and Joris Ruijs called. The turn was the and Silver continued for 500,000 and Ruijs again called. The pair checked the river and Silver won with for a pair of kings. The three players will play on, with the levels now shortened to 30-minutes in length. The three remaining players are now on a 30-minute dinner.